But they clicked instantly, thanks to similar business interests and a deep-rooted connection to metro Phoenix. It was a perfect match. 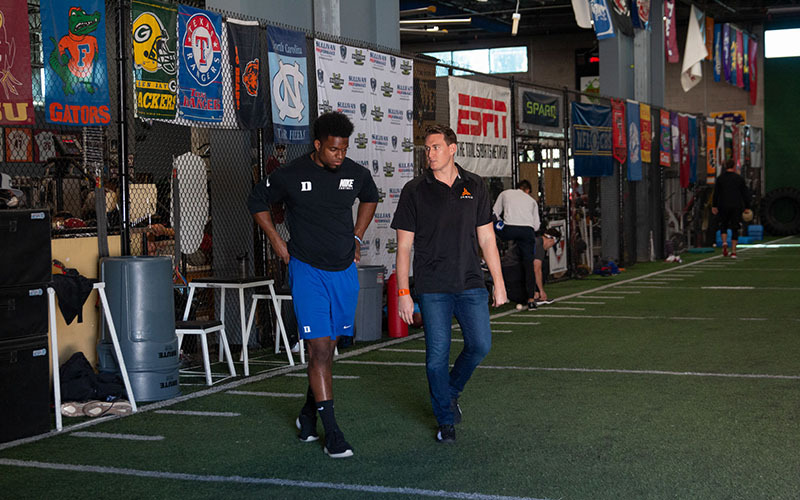 Now, the pair are altering the landscape of sports performance and technology with a new way to more accurately clock 40-yard-dash times and measure biometrics in other sports drills, where fractions of a second can make all the difference for an athlete. According to nfl.com, the players who recorded the seven fastest 40s at the combine all were selected in the first four rounds of their respective NFL drafts. 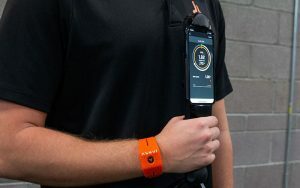 Wells, who played football at Brophy College Prep, is the creator of the JAWKU Speed, a sports training wristband that pairs with a cellular device to provide a more precise timing system for athletes. While introducing the technology at the combine last spring, Wells quickly caught the attention of Fischer, who attracts players from across the country to his facility train during their offseason. 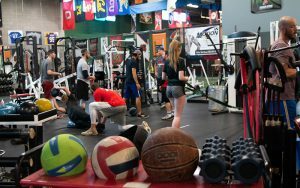 In November, the Fischer Institute announced its partnership with JAWKU via Instagram, making JAWKU the official timing system of the facility. Fischer described JAWKU as a “cutting-edge company” and praised Wells for his creative and innovative ideas.